Whether you are a business or a home owner needing DStv installation in Cape Town or simply repair work to be done, we are your one stop shop for all your needs. Our DStv installations in Cape Town range from small domestic installations to commercial groups such as restaurants, guest houses to large hotels. We understand your busy schedule hence our team is flexible to meet with you at your home or business premises at any time of the day... in short, we are open for business 24 hours a day. Feel free to contact our office number or hotline number so we can assist you with your request. 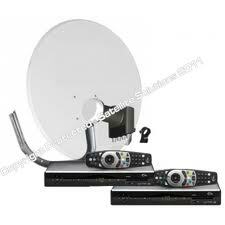 As Accredited Multichoice installers, we have a range of DStv Packages to suit your budget or your wishlist. 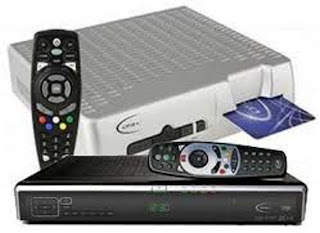 Below is a list of our packages for Dstv Installations in Cape Town. High Definition Television (HDTV) installation comes with a free 20 metre cable. The DSD 1131 is designed specifically for MultiChoice Satellite services and encryption technology. It is a single view decoder offering digital sound connections, video connections via RCA or FR. XtraView is a cost effective and flexible solution allowing you to link two XtraView capable DStv decoders at a cost of a single subscription, plus an access fee. XtraView allows you to increase the number of TV channels which can be viewed simultaneously in your home without having to pay an additional subscription. installed to 2 TV points. Installation of this option includes one satellite dish, 1 DSD 1131 decoder, 1 HD PVR 2P decoder, Dual LNB, 2 x 4 Multiswitch, full installation to 2 TV points, as well as activation with Multichoice. Installation comes with a free 20 metre cable. Installation of this option includes one satellite dish, 2 HD PVR 2P decoders, Dual HD LNB, 2 X 4 multiswitch, full installation to 2 TV points, as well as activation with Multichoice. Installation of this option includes one satellite dish, 2 DSD 1131 decoders, twin LNB, full installation to 2 TV points, as well as activation with Multichoice.